Produce crisp nuclear staining with Thermo Scientific™ Richard-Allan Scientific™ Modified Mayer's Hematoxylin, a progressive nuclear stain. 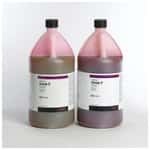 Achieve fast and convenient results, while maintaining complete control over stain intensity with Thermo Scientific™ Shandon™ Gill™ Hematoxylin, which has mucoid staining. Yield results which exceed those of Gill or Harris Hematoxylins with this uniquely formulated product. 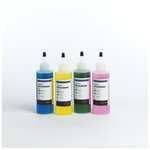 Produce brilliant staining with Thermo Scientific™ Shandon™ Eosin-Y, a fast-acting cytoplasmic counterstain. Enjoy strict quality control of raw materials and finished product and a high quality product every time with the Thermo Scientific™ Richard-Allan Scientific™ Eosin-Y Alcoholic, Eosin-Y with Phloxine, and Eosin-Y Saturated. Use Thermo Scientific™ Richard-Allan Scientific™ Modified Harris Hematoxylin, a regressive nuclear stain, for both histology and cytology. With three strengths available, the Thermo Scientific™ Richard-Allan Scientific™ Gill™ 1, 2, 3 Hematoxylin allows complete control of staining intensities. 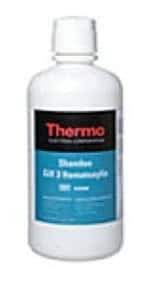 Take advantage of acidified or non-acidified formulations with the Thermo Scientific™ Shandon™ Harris Hematoxylin. This product does not employ a mercury-based oxidizing agent, thus removing a possible source of environmental contamination. Obtain clear differentiation and contrast between the hematoxylin and eosin with Thermo Scientific™ Richard-Allan Scientific™ Differentiating Solution. Create an ideal visual contrast to Hematoxylin with the fast-acting Thermo Scientific™ Richard-Allan Scientific™ Signature Series Eosin-Y counterstain. 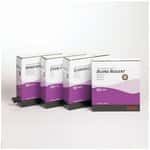 Support tissue for frozen sectioning with Thermo Scientific™ Shandon™ Cryochrome™ embedding resin. Ensure crisp nuclear detail with the ready-to-use Thermo Scientific™ Richard-Allan Scientific™ Signature Series Bluing Reagent. Achieve improved cell clarity by removing excess hematoxylin from the slide with Thermo Scientific™ Shandon™ Nu-Clear™, a specially-formulated acid alcohol solution. Yield results that exceed those of Gill or Harris Hematoxylins with this uniquely formulated product. Yield visually similar results to Gills 1 and 2 with this uniquely formulated product.